I don’t have baths very often because I’m more of a shower person but if I want to try and relax or pamper myself a bit then I’ll choose a bath over a shower. When I do decide to have a bath I want something fabulous to put in it to make it a little bit special. 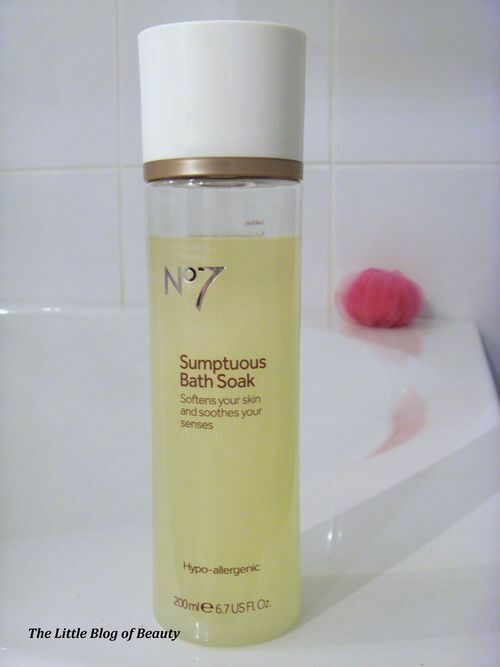 I got a couple of No7 skincare sets for Christmas, one of which included their Sumptuous Bath Soak. (I had already used some of this before I got round to taking the photo’s, you do get more than this when it’s new). This is described as a bath milk. It’s reasonably thick with a pearly appearance and a floral type scent that to be honest I was not really that keen on. This contains Rosehip oil and skin softening emolients and the fragrance is described as containing white florals and sandalwood. 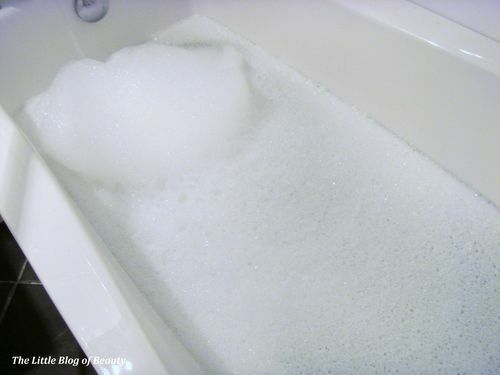 So the last time I had a bath I snapped a piccie of the bubbles before I got in. I’m never really sure how much of these sort of products you are supposed to add to a bath but I think I added a reasonable amount and as you can see this did not make a huge amount of bubbles. 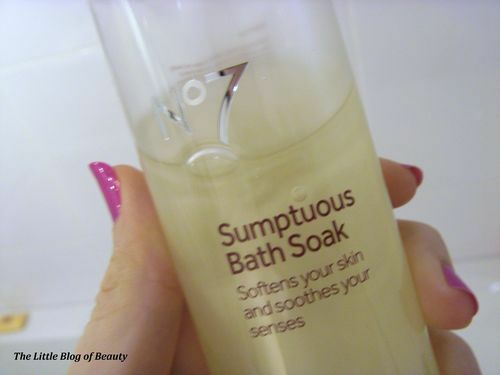 Maybe because this is a bath soak rather than a bubble bath it’s not supposed to make a lot of bubbles but is more about the fragrance and how it makes your skin feel. While I was having a soak I didn’t notice any scent coming from the bath and when I got out my skin didn’t really feel any different to normal. At £9.50 for 200ml this is quite expensive and as I wasn’t wowed I don’t really think it’s worth the money when there are better bath products available for less. Unfortunately this wasn’t for me.